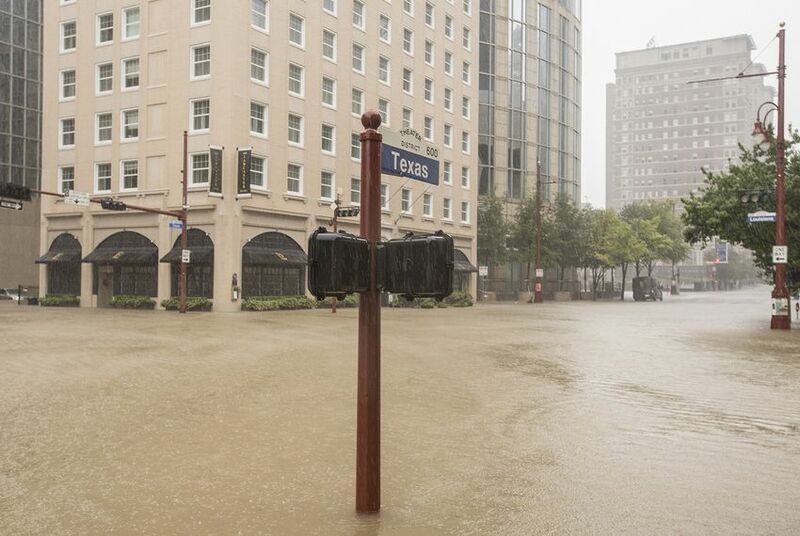 Almost a year after Hurricane Harvey dumped historic rains on Texas, the state will receive more than $5 billion for a range of flood control projects, repairs and studies, the Trump administration announced Thursday. The bulk of the funding — nearly $4 billion — will go toward the construction of nearly 27 miles of coastal levees in southern Orange County and to shore up nearly 30 miles of existing coastal levees in Port Arthur and Freeport. That project is a significant component of a larger coastal protection system that local officials and scientists have long envisioned for the state to safeguard it from deadly storm surge during hurricanes. “The billions allocated to Texas today is welcome news as we continue to rebuild in the aftermath of Hurricane Harvey,” Gov. Greg Abbott said in a statement. “This funding will go a long way toward future-proofing Texas against another hurricane and strengthening our infrastructure to withstand dangerous flooding." The funding, which comes from a disaster relief package Congress passed earlier this year, will also go to the construction of a dam in Lewisville and a buyout program in Wharton. Much of the rest of money will pay for the completion of flood control projects in the Houston area that were already underway — some of them for more than two decades because of the Harris County Flood Control District's pay-as-you-go approach — and to repair damages that those projects suffered during Harvey. Several flood- and disaster-related studies will also be funded. The Army Corps will receive $3 million to launch an unprecedented study of the Houston region's watersheds. Another $6 million will go toward a study that will explore how to reduce flooding in Buffalo Bayou, including when the Army Corps releases water from Addicks and Barker dams. The Port of Houston will get $30 million to dredge the perpetually silty Houston Ship Channel, and the Army Corps also will receive nearly $1.5 million to complete a safety project to shore up Addicks and Barker dams, which have been considered at risk of failure for years. And as previously announced, the Trump administration also opted to put money — $1.9 million — toward an Army Corps-General Land Office study that will determine the best projects to guard the Texas coast from hurricane storm surge, including the massive refining and petrochemical complex in the Houston area. Whatever projects are recommended in that final report would be eligible for additional federal funding.